Guillermo Moraga Torres, de 92 años, trabajó como el administrador del teléfono durante varias décadas (a veces dice que 21 años, a veces que 33). “Me decían ‘el teléfono que grita’ porque yo andaba pegando gritos llamando a la gente a la que llamaban al administrado”. Recaredo Briceño was an exemplary teacher who organized the entire town of Quebrada Honda in the 1930s, building streets and putting together quadrants. Everyone remembers him as a saint, except for Digna Villegas Cortés, who is 96 years old. 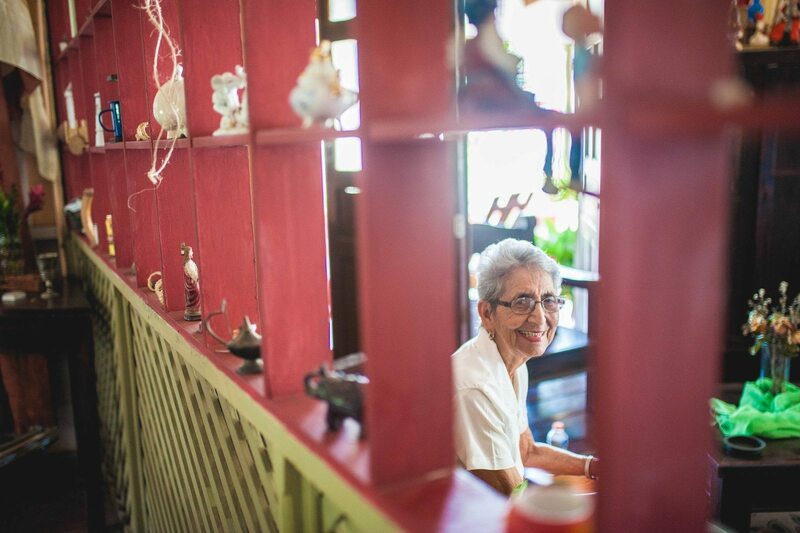 Her long figure, sitting in a rocking chair on the porch of her wood house with original mosaic tile floors, is the essence of Quebrada Honda. This settlement, located 17 kilometers from Nicoya, seems more like an artist’s sculpture than a real town. In spite of dona Digna’s memories, the master Briceño achieved something that nobody will forget: a well-organized town. Today there is a beautification crew that keeps common areas clean. Doña Digna’s daughters and nieces head this crew. The prize for beautification, for example, goes to the children of Cecilia Villegas Cortés (one of Digna’s sisters), who paint almonds red and add buttons to them as adornments. These daughters and seven other children – all enjoying old age – were born here between the first and second decade of last century. Their grandparents, of the Villegas and Briceño families, founded the town in 1884, according to a rumpled, old magazine that don Leonidas Villegas has. Don Leonidas, at 85, is one of the youngest members of the Villegas-Cortés dynasty. 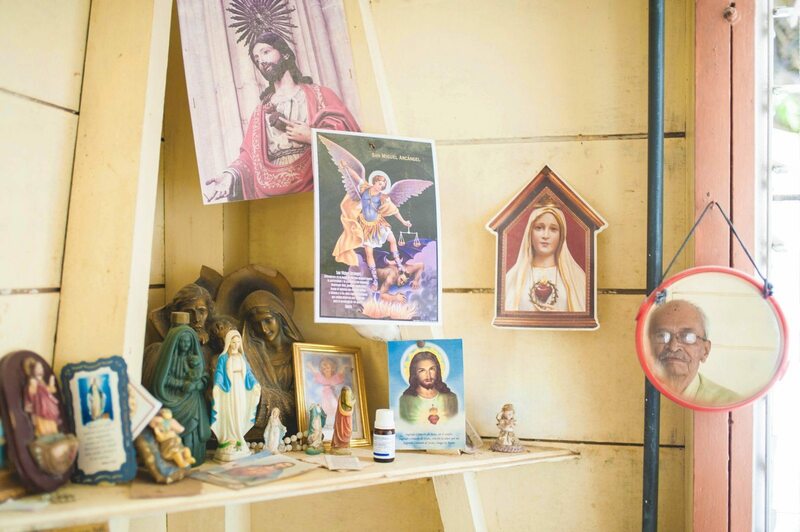 Every home in which someone older than 80 lives in Quebrada Honda looks like a postcard on the outside and a museum full of living memories of the past on the inside. Each home has the past so present that we outsiders occasionally get confused. When Digna was young, the husbands build these homes using self-taught, locally prevalent architecture and design methods. Each home proudly shows off gourds that were once cooking implements, old tin cans, albums bursting with old photographs… its memory. Other than houses, there is a pulpería, a liquor store, and a cantina that’s always closed. 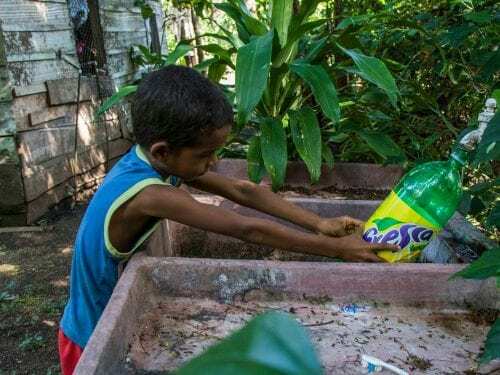 There also is a clinic (Ebais) and a police station, although the only time residents remember a theft is when some outsiders can through town in a car a couple of years ago, saw an open house, and stole a flat-screen television. 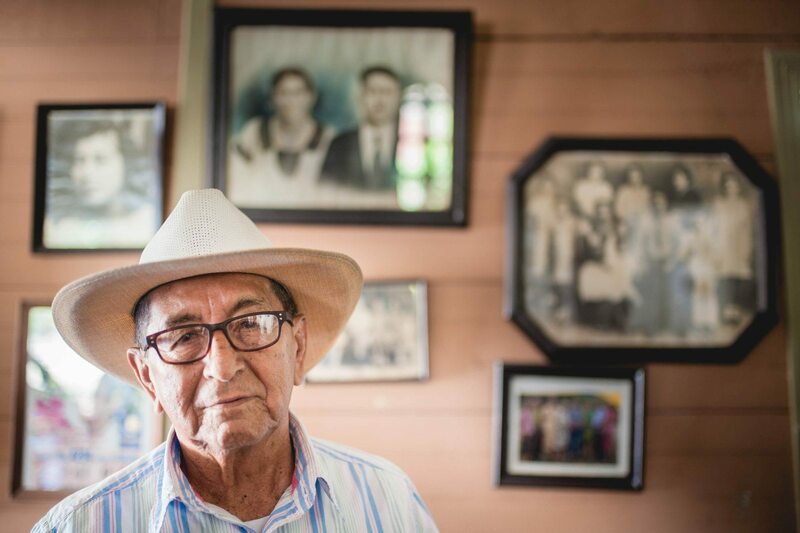 Leonidas Villegas is worried that the town has gotten so old that it will go to the grave along with the residents. “Very few children are registering for school. There aren’t 20 kids at the school,” he says with anguish. Before that happens, we leave this record. 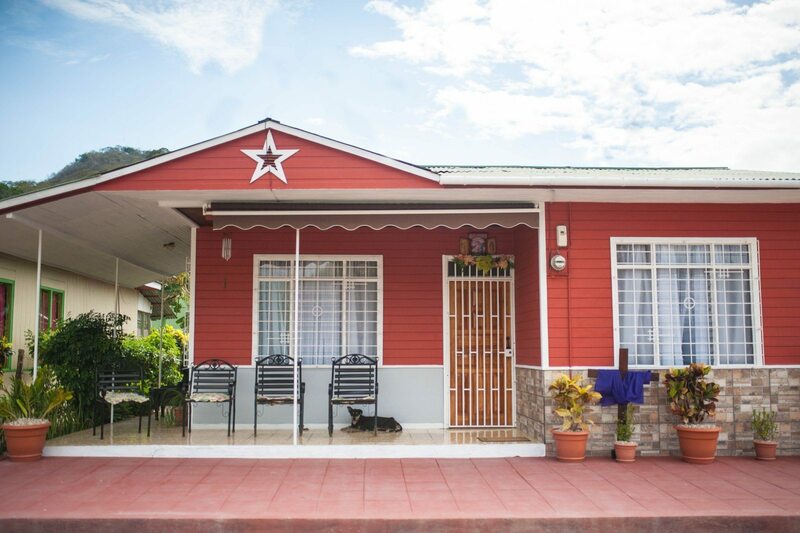 Quebrada Honda’s architecture is derived from self-taught local traditions. Homes were built by the husbands of women like Digna more than 60 years ago. Higher parts of walls sport trellises that encourage cross breezes. These homes also feature high roofs and natural ventilation that enters through upper windows. Leonidas Villegas Cortés is 85 and the president of the aqueduct, the town communicator for Marviva’s Gulf Project Network, and a million other things. According to his count, there are 111 families connected to the Asada service. The entire district has 227 inhabitants, according to the 2011 census. 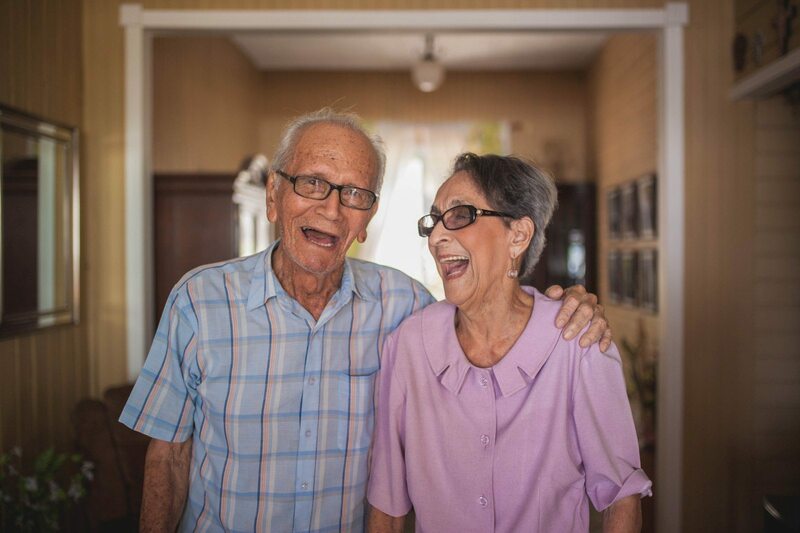 Cecilia Villegas Cortés and Cecilio Álvarez built their house 60 years ago. They have five children. The house still has its original well, and Cecilia remembers when the young family had soot-stained pots and irons around the house. “I didn’t like to iron, but I wasn’t going to let the children run around looking bad,” said the 91-year-old. Don Guillermo also turned off the town’s light at night. He decided when everyone went to bed, but it never was later than 9 p.m.
Sara Villegas, 88, lives in the second home her parentsver lived in. She has mild Alzheimer’s, but her children exercise their mother’s memory every day to help her remember and remain stable. This traditional dwelling is an homage to her memory.